Mr. Wiest, Sr started Taekwondo 24 years ago because both of his sons were involved in Taekwondo at the time. 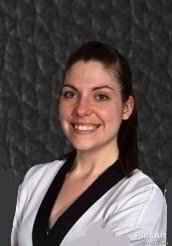 Now, he is the School Owner at Tae Kwon Do Training Center, Watertown's #1 martial arts school. Mr. Wiest, Sr currently holds the rank of 4th Dan Black Belt, with his next test being for his Masters. Mr. Wiest, Sr says he enjoys instructing at TTC because he likes to develop positive attitudes & he likes to help people believe in themselves. His favorite part of Taekwondo is...Sparring! 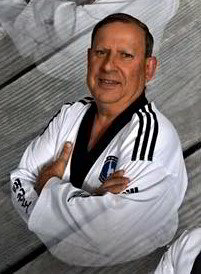 MR. TIMOTHY D WIEST JR.
Mr. Wiest Jr. is a 4th Dan WTF certified Black Belt. He is a national level competitor who has placed at the USAT Nationals. Mr Wiest has also attended the Olympic team trials and National team trials. He is very active in Tae Kwon Do nationally and competes regually in both sparring and sport poomse. Mr. Wiest is the head instructor at TTC. MR. BEN R WIEST JR. JR.
Mr. Wiest Jr. Jr. is a certified 3rd Dan Black Belt Instructor at TTC. He was a business major at SUNNY Brockport and is a NYS Court Officer in the 5th District. He brings a strong background in police defense tactics and PT training. Jr. Jr. is a big asset the the TTC instructor core. Miss House is a 3rd Dan Black belt certified with the WTF. Miss House trains regularly and competes at several tournaments throughout the year. She teaches and assists with several classes at TTC. Mr. Altieri is a WTF certified, 3rd Dan black belt with the WTF. Mr. Altieri teaches and assists with several classes at TTC. the World Tae Kwon Do Federation. background in teaching Tae Kwon Do.